The one and only reason we look forward to winter is a chance to take a break from mowing the lawn for a few months. Lugging out that beast of a mower, gassing it up, and pushing it wearily around and around the yard does not make for a fun summer afternoon. 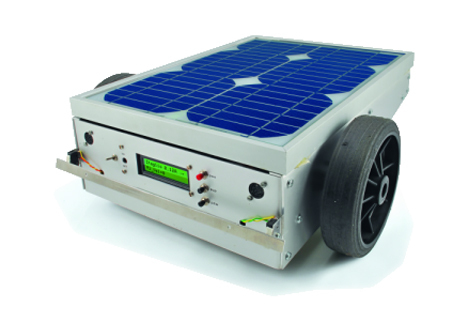 This solar-powered robotic lawnmower is the perfect alternative. It’s a Roomba for your grass, and it runs entirely on sun juice. You don’t have to watch it and steer it with a remote control because it works with the same kind of boundary technology that Roombas use – or, since it’s outdoors, maybe it’s more akin to an Invisible Fence that keeps dogs from wandering off. Just like its indoor vacuum cleaner cousin, the robotic lawn mower turns and changes direction when it encounters an obstacle. 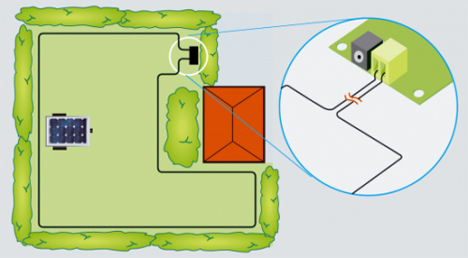 An on-board battery stores power when the mower is in the sun, then provides energy when the solar cells are in the shade. The designers at Open Electronics acknowledge that you’ll need to use a more conventional mower if you let the grass get too high. You can get around that, though, by setting the little guy loose on your lawn regularly to keep the grass short and manageable. Schematics, plans, code, and materials list can all be found over at Open Electronics.